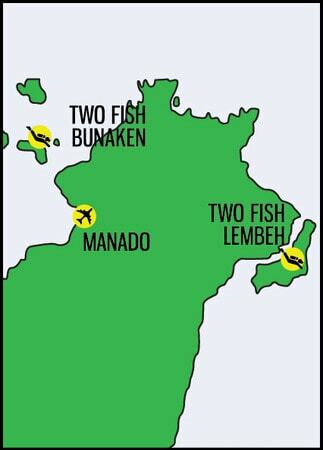 Whether you dive Bunaken or dive Lembeh, you will have to fly into the Manado International Airport. The easiest flight option is to fly direct to Singapore – there are many direct flights from most major cities like London, Paris, Frankfurt, etc. You can then catch a Silk Air flight to Manado. Silkair, a subsidiary of Singapore Airlines, operate a 3.5hr direct flight from Singapore to Manado every Monday, Wednesday, Friday and Saturday. There are regular flights from most European cities to cities in Indonesia such as Jakarta & Bali. From Jakarta & Bali it is possible to take internal flights to Manado, and these are very frequent. Click on the logo’s below of the major airlines of Lion Air, Garuda and Batavia, and get the flight schedules from their websites. Check with your travel agent, if you fly with Singapore Airlines to Singapore, sometimes they will add on the Silk Air flight to Manado for very little extra. This can be the most expensive option but is also the easiest. If you want to buy domestic flights then we can help! For booking flights online you will need a local credit card, we can buy for you and email the etickets to you. Find out more about buying tickets with us. Unfortunately we are unable to do late night or early morning transfers to/from our resorts. This means that you may need to stay in Manado if you have flights that arrive after 8pm or depart before 7am. In these cases, we can book a hotel and arrange all of the transport on your behalf, so that you don’t need to worry about a thing. Jenke – local word for ‘river’, this is where the public boat departs from 2-4pm. Calaca – behind hotel Celebes (also known as the pelabuhan or Manado harbour). This is where alot of other resorts depart from, as well as the public boat when it is low tide. Marina Harbour (this is the one that we use) – situated behind Jumbo supermarket, it is in a shopping area called ‘Marina Plaza’ and all taxi drivers or micro (local bus/taxi) will know it. You will need to head to the harbour in a village called Tandu Rusa, about 2-3 km further on from Bitung. If you are going by public bus from Manado then you need to change at Terminal Tangkoko to get a mikrolet (blue Suzuki van) for Bitung, and once in Bitung take a ojek (motorbike) the last 2-3 km to Tandu Rusa. There are other harbours in Bitung so you will need to tell the ojek driver to take you to Tandu Rusa – they will try and take you to the Ruko harbour but we cannot pick up from this.  Once inTandu Rusa harbour, please call us so that we can send the transport boat to collect you. If you have not already contacted us in advance, it could take up to 30 mins for the boat to reach you – it depends on tides, whether the transport boat is being used for something else, etc. IS THERE ANYTHING WE NEED TO KNOW ABOUT ARRIVING IN BUNAKEN? IS THERE ANYTHING WE NEED TO KNOW ABOUT ARRIVING IN LEMBEH?